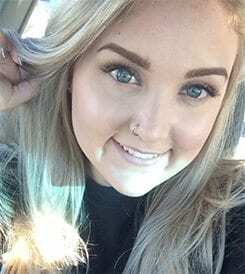 We recently conducted an interview with current student, Kellie Tankersley, regarding her experience at South College and pursuit to become a Physician’s Assistant (PA) with a bachelor’s degree in Health Science. A PA will assist doctors in their day-to-day practice and serve multiple functions depending on where they work. With a career as a PA, one will perform the functions carried out by nurses and doctors. Maybe this sounds like something you are interested in? Keep reading to see what Kellie says about South College and her future career. I am in the Bachelor of Science in Health Science program. After I graduate, I plan to go to PA school. Why did you choose that? What was that thought process for you and how did you make it happen? I have always felt the need to take care of people. I love being the caregiver. Plus, I have always excelled in the math and science courses throughout school, so I thought going into the healthcare field would be the best for me as I would love what I’m doing while also helping other. Did you come back to school after working or raising a family? Are you changing careers? Or are you coming straight out of high school? Describe that journey. I came to South College straight out of high school. I knew what I wanted to do with my life and my career, so I knew I had to go to college right away to begin my journey. A lot of kids these days are taking a gap year, which I think some students need that, but I knew that would not work for me so I went to college right away to achieve my goal. My favorite part of what I study is learning how the human body works. It is fascinating to learn what the body is capable of! My goal after I graduate is to go to PA school. I hope to be graduated from PA school by 2020 at 24 years old. My advice for future students is to stay on top of everything. Not only your school work, but also deadlines for the program you are wanting to go into next. Do not wait! Start doing stuff now, and you will thank yourself in the future.